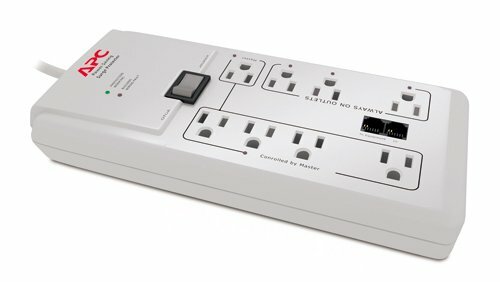 With 4 outlets and 5 USB charging ports in one unit, the Zettaguard ZG450 surge protector / power strip eliminates the dependence on multiple chargers to charge your devices. 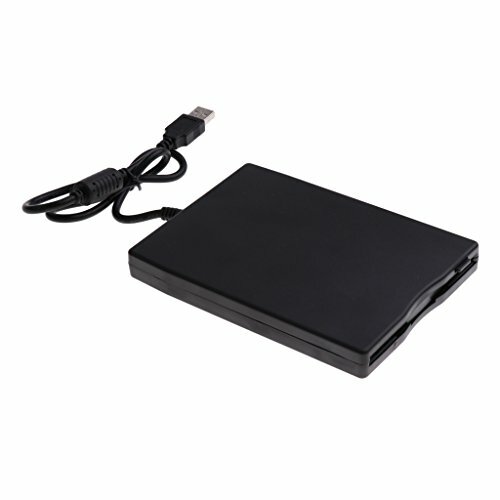 The Zettaguard ZG450 Protector USB Charging Station is extremely versatile to carry around for travel uses and can be positioned anywhere in the office or at home. 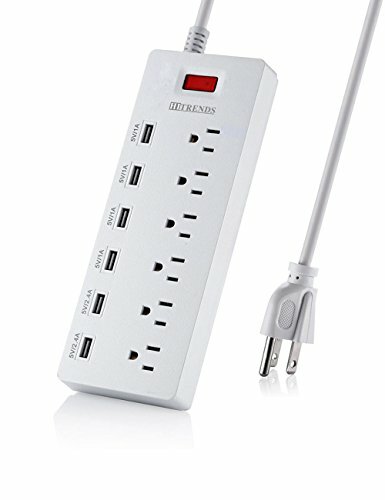 Different from regular surge protectors, the unique wide-based design provides a stable base and prevents it from tipping over. The Zettaguard Surge Protector and USB Charger offers excellent protection against hardware damage, data loss/corruption and crashes due to electrical surges. 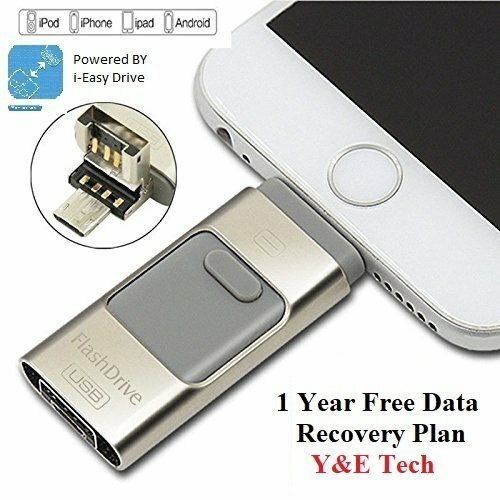 It is rated 1700 joule and has a damage-resistant housing which protects circuits from fire, impact, rust and scratches. 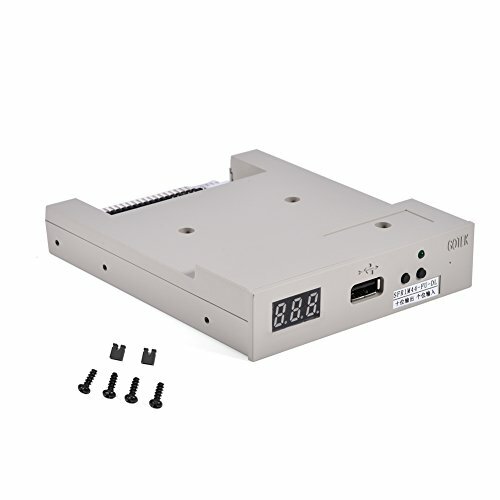 Note: The total amount of power required by the devices connected cannot exceed 2500W(max 8A). 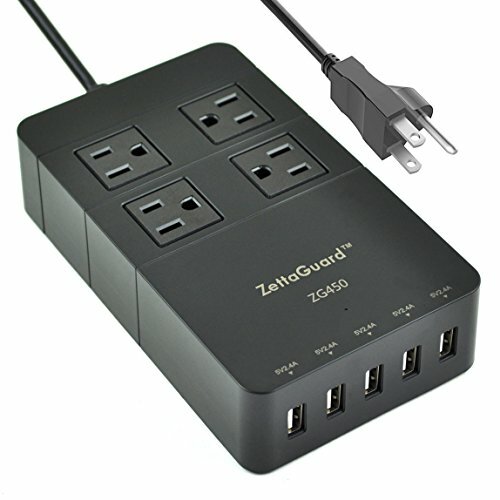 The Zettaguard desktop space-saving 4-Outlet surge protector / power strip with USB charging station is the perfect solution for charging 9 devices simultaneously via 4 AC sockets and 5 USB ports. 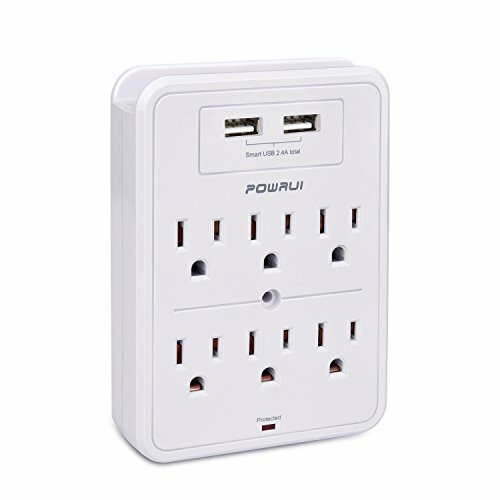 SMART CHARGING: Five Smart Ports auto-detect your devices and seek to maximize the fastest possible charge speed, each up to 2.4A. 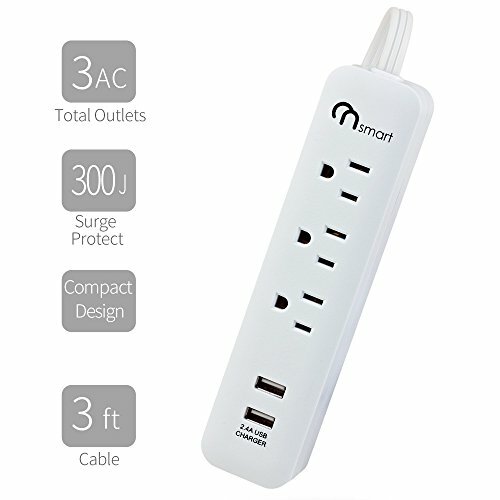 COMPACT DESIGN: Fits nicely on your desk, nightstand or dresser, and cleans up all the cable chaos; perfect travel companion for you while staying in hotels with very few power outlets available. SAFETY ASSURANCE: Two grounded AC outlets are rated at 1700 joules and defend again voltage fluctuations, surges and spikes.